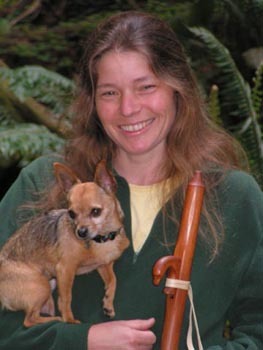 The intention of this program is to put Gentle Thunder’s peaceful flute music in the hands of those who care for our beloveds in transition. The gift of her CD softens the transition for those birthing into this world, working with health challenges or nearing the end of their life. It offers support to them, their families and their care providers. (every $10 donated covers 1 CD, shipping and handling). Gentle Thunder then sends your gifts to organizations such as: Babies in Need, Birthing Centers, Hospice Care, Alzheimers Centers, Elder Care Facilities and Trauma Centers etc…. 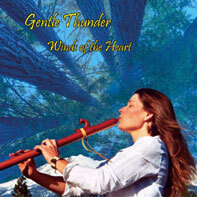 Peaceful Transitions Patrons can specify a care center or Gentle Thunder will send CD bundles to various care centers around the United States. CDs can be sent on behalf of or in memory of a loved one. Contact Gentle Thunder if you have questions or organizations you know are in need of these gifts. Please click the PayPal DONATE button below and enter any amount you choose to donate. Specify in the "add special instructions" section if you have an organization you would like your CD gifts sent to. Thank you so much for your generosity and kindness. Together we can make a difference in so many lives! "I was recently in the hospital in ICU. Our Chaplain left a CD player and a copy of your CD. I cannot begin to tell you how very soothing and calming it was to have your music surrounding me during that time, especially the lonely nights. The CD player was on "repeat" so I was gifted with the continual music and spirit of your flute and never felt alone, afraid or otherwise anxious! Thank you for sharing your gifts with us all!!"